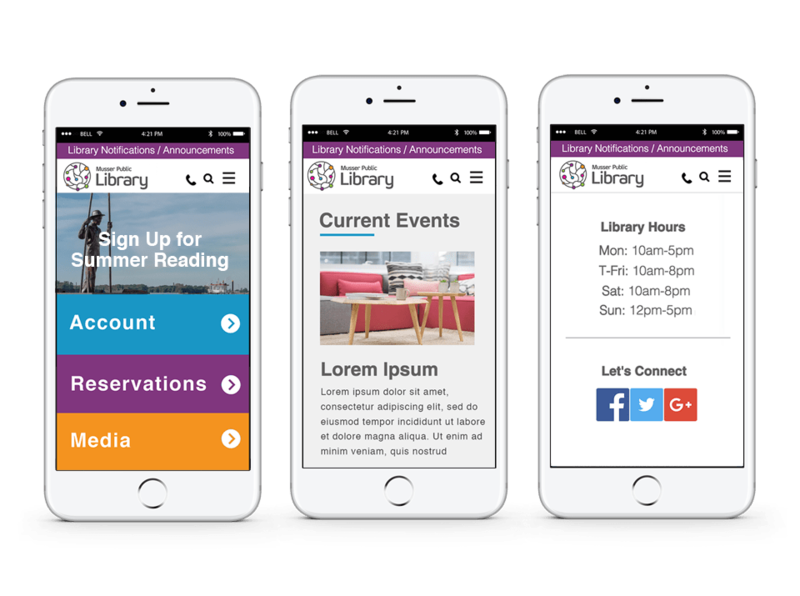 Musser Public Library needed a refreshed, modernized website to go along with various other transitions they’ve been working through for the last couple of years. The most notable transition being the move of their physical location into a former HNI Corp. office building. The modern vibe of the new building, mixed with the efforts to rejuvenate the excitement surrounding library events caused the Musser Library team to seek out a new web design that would reflect this excitement and draw more people to utilize the space to meet up, hang out, and simply want to drop in and read! The design came out exactly as the Musser Library team wanted, exuding a sense of modernism, youth, and excitement. 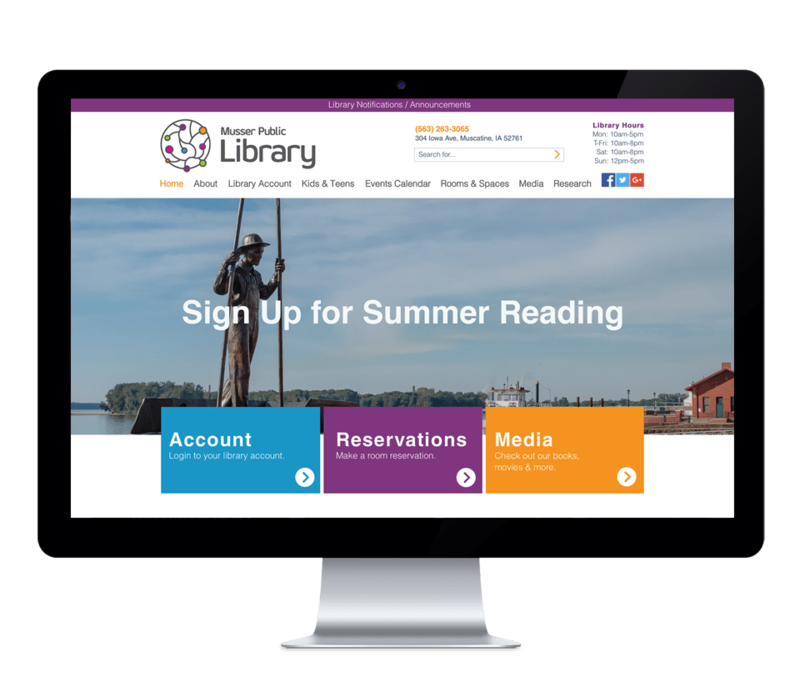 With an on-site room reservation system, and library member account access, the site serves more useful purposes than ever before, while looking better than ever as well. We’re excited to hear the community’s feedback as the team is able to start driving more traffic to the site and better promote their events and activities through an enhanced platform.